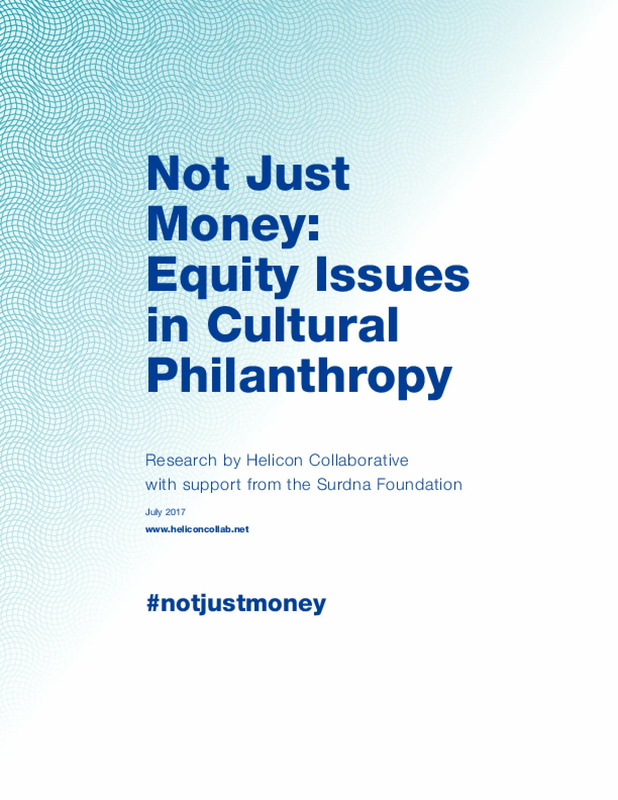 This report summarizes the main findings of the recent research, revisiting the reasons why addressing diversity and equity issues in the cultural sector matters more than ever and reviewing six key findings related to national and local patterns of funding distribution, the demographics of people making funding decisions, and the distinct issues facing cultural organizations whose primary artistic mission is to serve communities of color or low-income communities. It concludes with suggestions for how to speed progress toward a more inclusive and equitable system of cultural philanthropy. Copyright 2017 by Helicon Collaborative. All rights reserved.